Spice Restaurant was our favourite dining spot at Nirwana Gardens when we stayed at the Banyu Biru Villas. 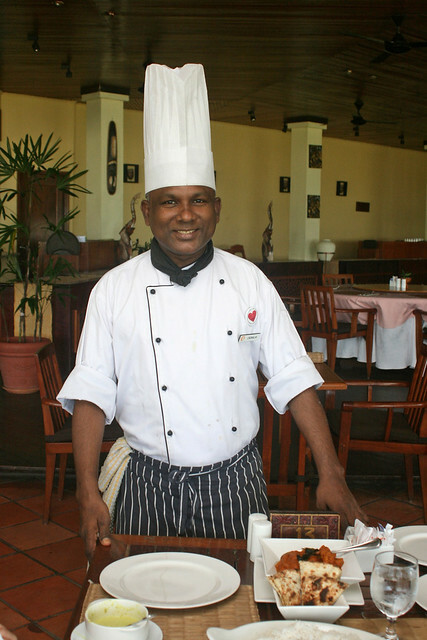 This beachside eatery serves Indian and Indonesian specialties and they are very well made. Don't worry, the dishes are not blindingly spicy, but well-balanced and flavourful. 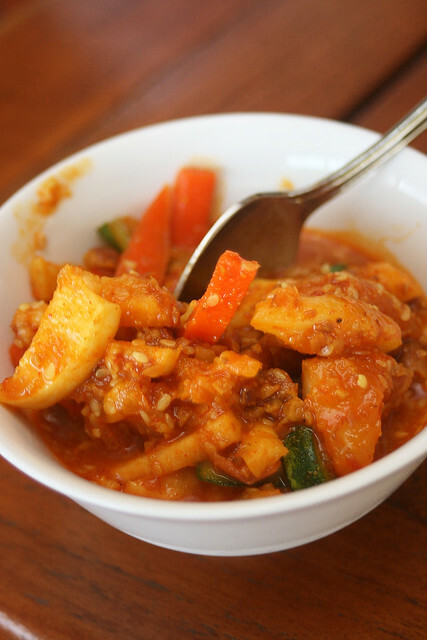 They even put effort into the achar (pickles, above) which is fantastic. 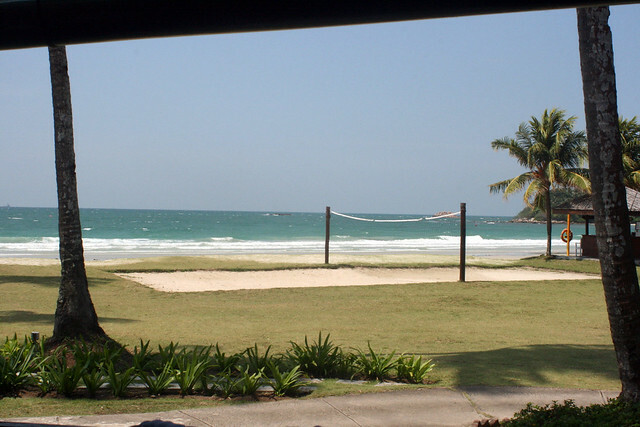 By the way, have you joined in the Bintan Resorts contest? A villa stay for four is up for grabs, and it's super easy to enter. See contest details here! Closing date is 30 June 2011. We had to give the chef our compliments. Chef Kunalan is from Malaysia and he was really nice and humble. We started off with a Sup Kepiting (Crab Soup). 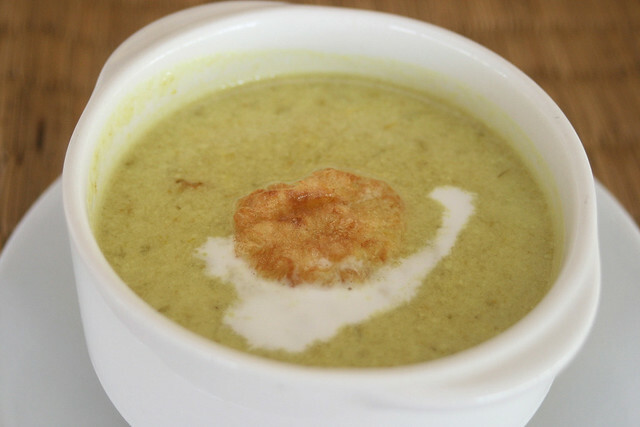 Thick crabmeat soup flavoured with local spices and coconut milk, served with bagedil (small potato cutlet). It was near sublime! My mouth is watering just remembering this. 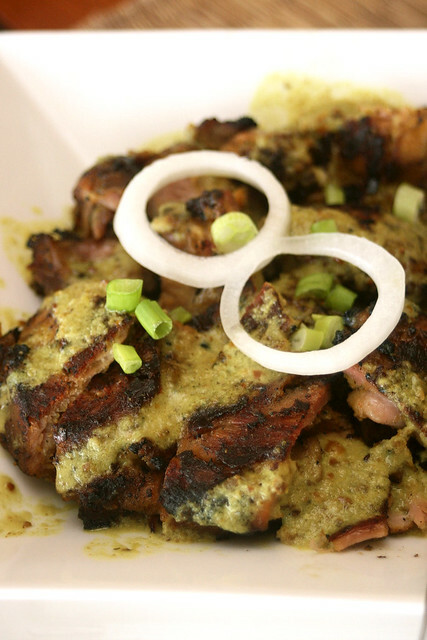 Ayam Betutu - Grilled Chicken Marinated with Balinese Spices. This reminded me a little of ayam percik from the pasar malam (night markets) in Malaysia, but the flavours are much richer and the chicken beautifully grilled and smoky. It's so tasty, we tried to wrangle the recipe out of the chef! 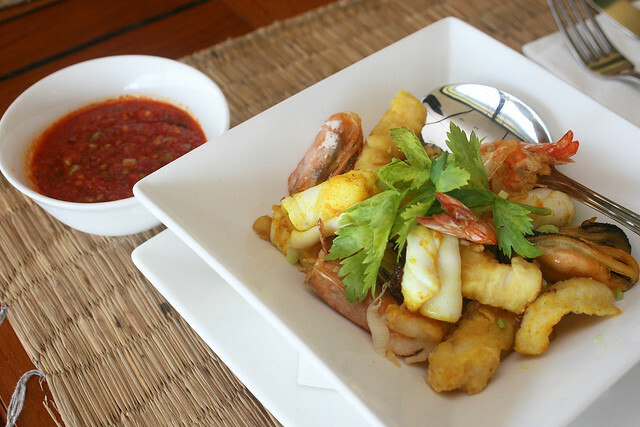 Sambal seafood - the chef thoughtfully placed the sambal on the side, for the kids' sake. Normally it is stir-fried with the sambal. Another tasty dish, with fresh ingredients. 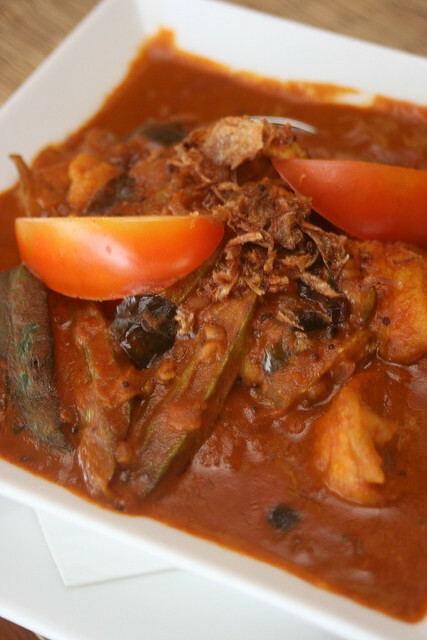 Spice Fish Curry - boneless fish filet served in coconut and tamarind curry gravy. I was very grateful for boneless fish. Makes for easier eating! The fish was nice and moist, not overly done. Good assam broth. 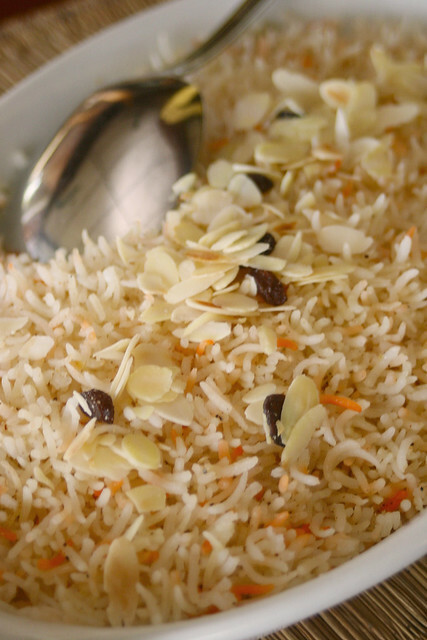 Pilaf rice to go with the assortment of spicy dishes. Each grain fluffy and separate. We mopped things up with naans too. 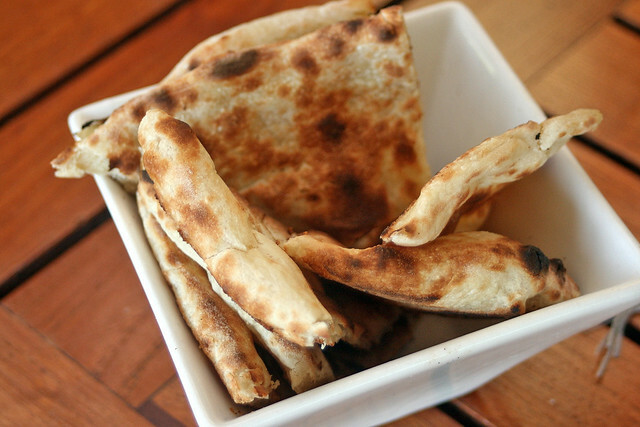 You have a choice of plain, butter or garlic naans. 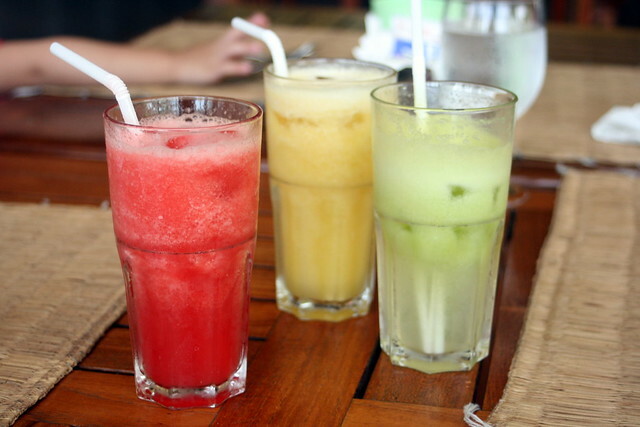 Wash it all down with freshly squeezed juices! You get to enjoy your meal with a nice seaview too. This is the life! Bright sunshine and a balmy sea breeze, looking upon the sandy beach and crashing waves. It's so relaxing, you can't help but feel the holiday mood. The restaurant is next to Mayang Sari chalets, but you can get there from anywhere you are staying within Nirwana Gardens. Again, if you'd like to win a villa stay for four at Nirwana Gardens, join the Bintan Resorts contest before 30 June! Thanks to Bintan Resorts for recommending this restaurant and arranging lunch here for us! This was our favorite restaurant in Nirwana as well. Too bad we discovered it on our last night ni Bintan. Emily: Ah too bad. But at least you got to try it. There are quite a few restaurants to choose from at Nirwana Gardens, and I might have missed this one if I hadn't been recommended it. Kenny: Near sublime, but yes, good to the last drop and so fortifying! It was rich but I could not resist finishing the whole bowl.